Ernest Hilbert’s poems have been reproduced in a number of anthologies, some of them standard university classroom texts. More information on individual volumes appears below. 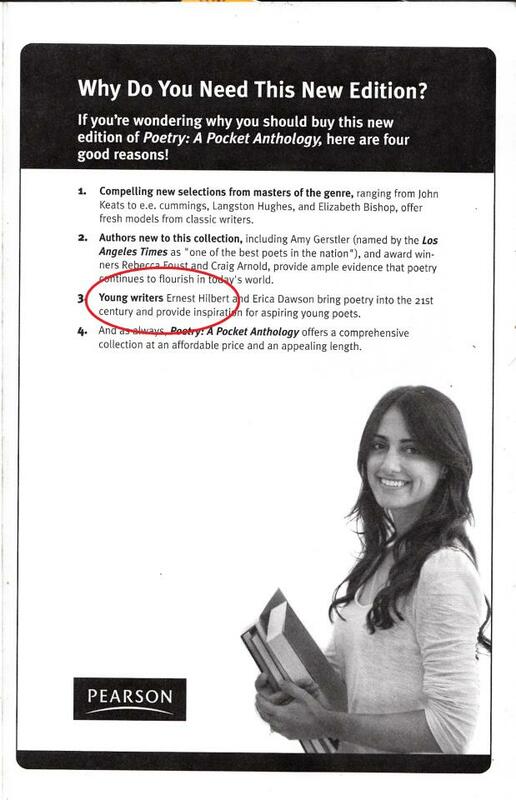 The thirtieth edition of the important Best American Poetry series contains Ernest Hilbert’s poem “Mars Ultor,” which first appeared in the journal Academic Questions and was later included in the protest publication Donald Trump: A Magazine of Poetry. Purchase directly from Amazon, Barnes & Noble, and Books a Million. 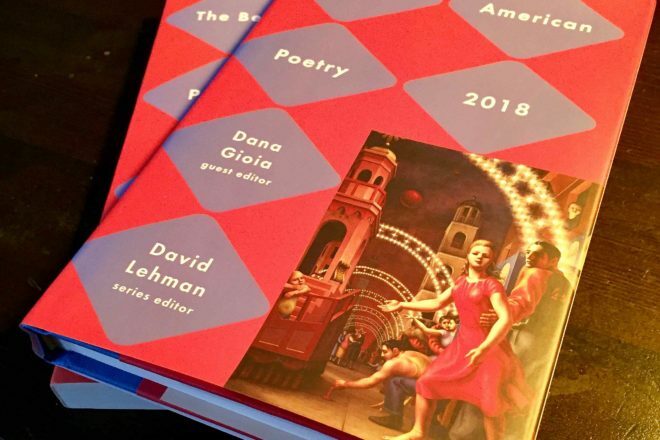 “Celebrating thirty years, the 2018 edition of the Best American Poetry—‘a “best” anthology that really lives up to its title” (Chicago Tribune). 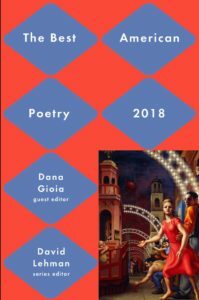 This anthology “collects the most significant poems of the year, chosen by Poet Laureate of California Dana Gioia” (Publisher’s Announcement). 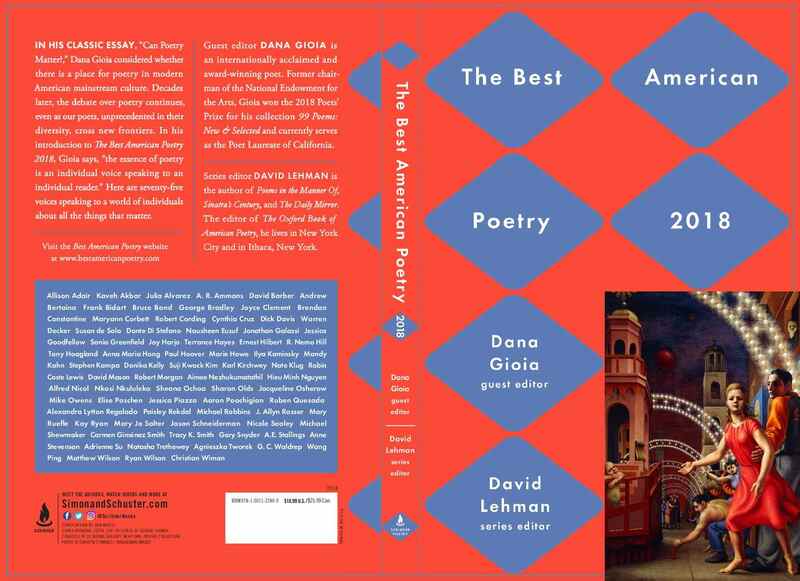 “Gioia’s instincts and insights unerringly hit the mark, and this new entry in The Best American Poetry series provides a richly rewarding compendium of styles and possibilities. In deftly channeling Auden’s ‘The Fall of Rome,’ Ernest Hilbert’s ‘Mars Ultor’ (another of my favorites in the book) observes, ‘Brutes push their way to power, / But the muddiest barbarian / Also wants the throne an hour.’ So, too, do poets, and the seventy-five assembled here have earned their hour of pageantry in this most distinguished setting” (Presence). 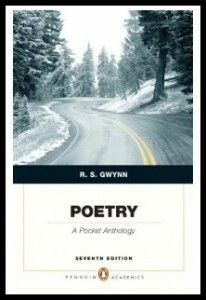 “The Best American Poetry series has become one of the mainstays of the poetry publication world . . . [capturing] the zeitgeist of the current attitudes in American poetry” (Academy of American Poets). 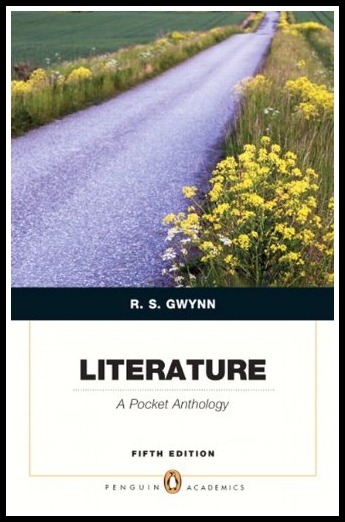 In The Washington Post, Michael Dirda described it as an “always excellent annual anthology.” “The poems, ordered alphabetically by author, have a wonderful cohesion and flow, as if each contributes to a larger narrative about life today.” (The Washington Post). “The guest editor for 2018, Dana Gioia, has an unconventional poetic background. Gioia has published five volumes of poetry, served as the Chairman of the National Endowment for the Arts, and currently sits as the Poet Laureate of California, but he is also a graduate of Stanford Business School and was once a Vice President at General Foods. He has studied opera and is a published librettist, in addition to his prolific work in critical essay writing and editing literary anthologies. Having lived several lives, Gioia brings an insightful, varied, eclectic eye to this year’s Best American Poetry. With his classic essay ‘Can Poetry Matter?,’ originally run in The Atlantic in 1991, Gioia considered whether there is a place for poetry to be a part of modern American mainstream culture. 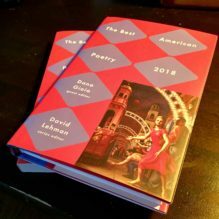 Decades later, the debate continues, but Best American Poetry 2018 stands as evidence that poetry is very much present, relevant, and finding new readers” (Publisher’s Announcement). 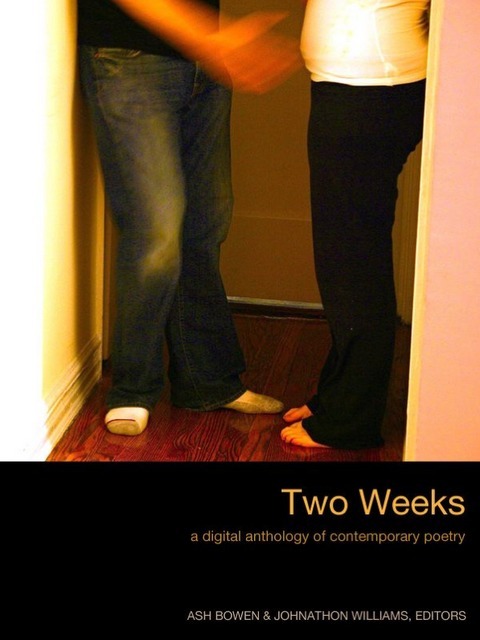 The anthology contains poems by seventy-five poets, including, besides Hilbert, Christian Wiman, Julia Alvarez, Aimee Nezhukumatathil, Paisley Rekdal, Elise Paschen, Tony Hogland, Frank Bidart, A.R. Ammons, David Barber, Stephen Kampa, Michael Robbins, Mary Jo Salter, Kay Ryan, Mary Ruefle, Natasha Trethewey, Terrance Hays, Marie Howe, Ilya Kaminsky, Sharon Olds, Joy Harjo, and others. This landmark anthology contains nine sonnets by Ernest Hilbert, drawn from both his debut collection Sixty Sonnets and its 2013 companion volume All of You on the Good Earth. “The Swallow Anthology of New American Poets gathers the work of thirty–five of the most compelling and talented new poets writing today. Groundbreaking anthologies of this kind come along once in a generation and, in time, define that generation. The Swallow Anthology identifies a group of poets who have recently begun to make an important mark on contemporary poetry, and their accomplishment and influence will only grow with time. 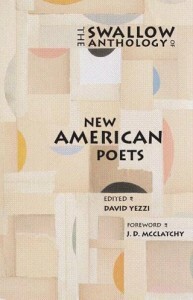 The poets of The Swallow Anthology do not constitute a school or movement; rather they are a group of unique artists working at the top of their craft.” As editor David Yezzi writes in his introduction, “Here is a group of poets who have, perhaps for the first time since the modernist revolution, returned to a happy détente between warring camps. This is a new kind of poet, who, dissatisfied with the climate of extremes, has found a balance between innovation and received form, the terror beneath the classical and the order underpinning the romantic. 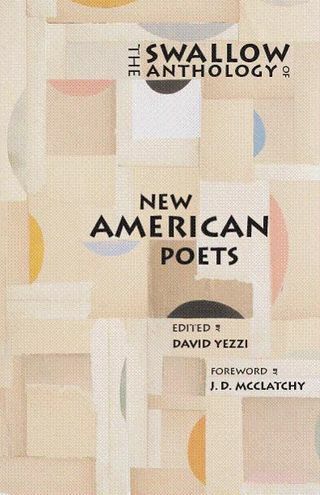 This new unified sensibility is no watered–down admixture, no easy compromise, but, rather, the vital spirit behind the most accomplished poetry being written by America’s new poets.” J.D. McClatchy writes in his foreword, “If I were to generalize about the poets in this remarkable anthology, I would want to say something about the tone of this book. There is noticeably a common voice or approach. This is not a collection of vatic lyrics or dissociated rambles. The poems are often set at a middle distance, in a voice aware that it is speaking, pondering, puzzling, but alert as well to impulses that are unspoken or shocking. These are poets who have read, and expect their reader also to have read.” “Obviously, greatness is something conferred posthumously and by posterity, but the poets here exhibit the right aspirations and reflect how American poetry is constantly evolving in craft, range, and versatility” (PN Review). “These poets at their best evoke the freshness one hopes for but rarely finds in contemporary poetry” (The Baltimore Sun). The anthology is currently in its second printing, having sold through its first eight months after publication. HILBERT, Ernest (Daniel Nester, editor). 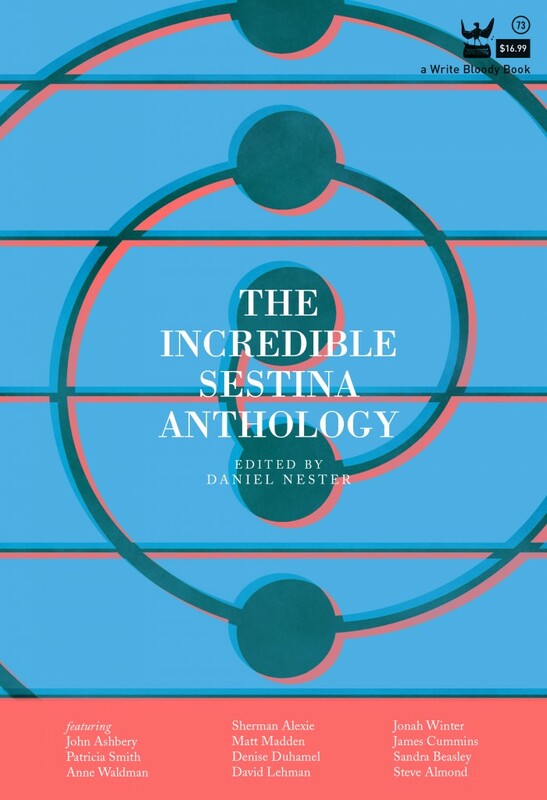 The Incredible Sestina Anthology. Austin, TX: Write Bloody Publishing, 2013. Octavo, paper wrappers. $25. ISBN-10: 1938912365. “More than 800 years after its invention in medieval France, the sestina survives and thrives in English. A fixed 39-line poetic form with of six stanzas of six lines each, followed by a three- line stanza known as an envoi, tornada, or tercet, the sestina is the one form of poetry that poets from all camps agree can exist in a free verse world. Formalists and avant-gardists both love sestinas for their ornate, maddeningly complicated rules of word repetition. For The Incredible Sestinas Anthology, editor Daniel Nester has gathered more than 100 writers—from John Ashbery to David Lehman to Ernest Hilbert and Patricia Smith—to show the sestina in its many incarnations: prose and comic sestinas, collaborative and double sestinas, from masters of the form to brilliant one-off attempts, all to show its evolution and the possibilities of this dynamic form.” “By collecting an exemplary, representative, and diverse arra of sestinas, The Incredible Sestina Anthology does just what an anthology should: it creates both an accurate snapshot of the form throughout the twentieth and twenty-first centuries and a sense of the form’s future: the dream of a common poetry” (American Book Review). This comprehensive collection of classic and new sestinas includes Ernest Hilbert’s infamous “Hel[l]ical Double Sestina: [Metal Number One],” which first appeared in a different form on McSweeney’s Internet Tendencies. 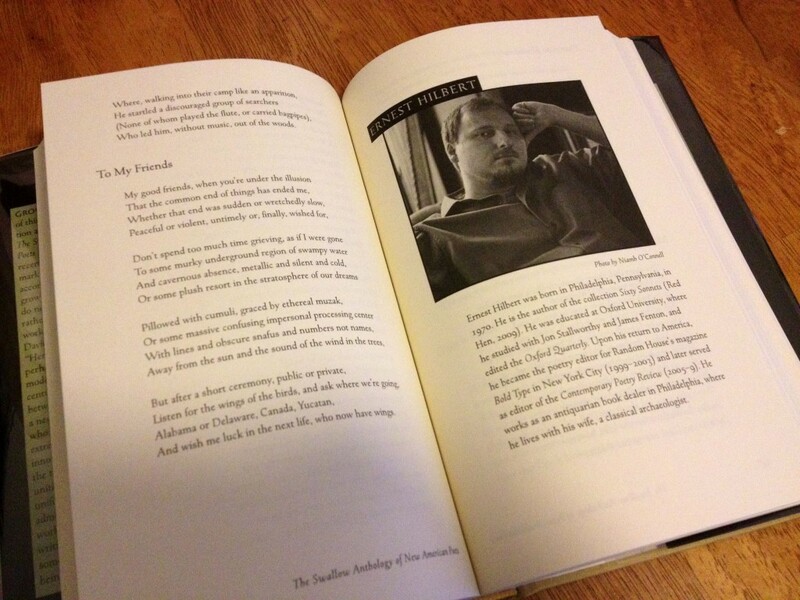 The volume also includes a short interview with Hilbert about the poem. (ERNEST HILBERT) O’DRISCOLL, Dennis, ed. 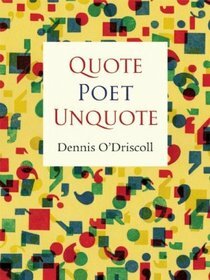 Quote Poet Unquote: Contemporary Quotations on Poets and Poetry. Port Townsend, Washington: Copper Canyon, 2008. Stout octavo, trade paperback. $18. ISBN-10: 1556592701. Ernest Hilbert’s long essay “Flying Off the Screen: Observations from the Golden Age of the American Video Game Arcade” appears alongside others by “programmers, visual artists, cartoonists, game testers, and championship gamers” in this now-classic anthology of video game commentary. The publisher explains that “from the creation of ‘Spacewar!’ in 1962, through the golden age of the video game arcade in America, to the console-in-every household proliferation today, games have provided us with something books, music, the plastic arts, and even film have not. . . . 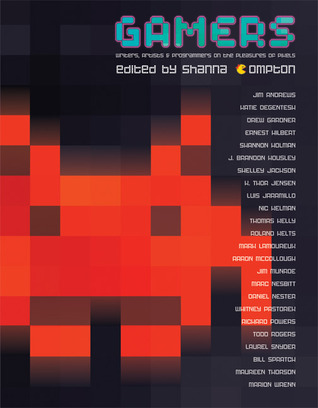 In Gamers, editor Shanna Compton and twenty-three contributors . . . offer not only witty, widescreen views of how video games have become part of the cultural landscape, but also insight into where they may be headed next.” The Detroit Metro Times noted that “poet Ernest Hilbert offers the following existential observation: ‘It is difficult to exaggerate the exultation, the sheer bloody rush a 12 year-old boy can achieve by blasting Ozzy Osbourne’s “Flying High Again” through foam orange headphones while committing mass murder.’” Other contributors include Colson Whitehead, Richard Powers, Shelley Jackson, Aaron McCollough, and Daniel Nester. This edition has gone into several printings. The online reprint of Hilbert’s essay continues enjoy thousands of readers.